What would you like to see in FM19? Hello one, and hello all. Everybody enjoying the World Cup? Good. My country isn't in it. Shame. 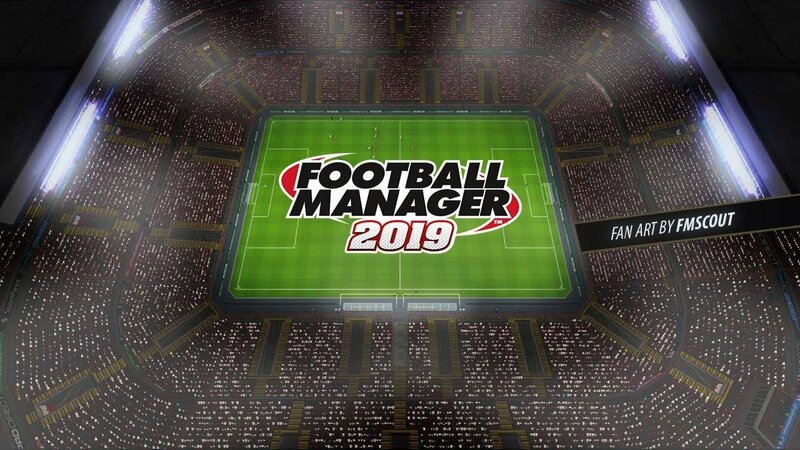 Anyway..... FM19 is expected to be released in approximately four months time (maybe a little less, maybe a little more). With FM18 now two thirds of the way through its season cycle, I think the vast majority of us have made our own opinions of the game and have some sort of idea of how the game can be further developed in future FMs. FM18 took some huge leaps and bounds in terms of manager - player relationships, as well as player - player relationships. It was Dynamics which was brought in to to make the game more lifelike, with the squad now baring a real personality with happiness and togetherness now a big factor in the game, just like in real life. While this side of the game does need fine-tuning with how players react to certain situations, and how the dynamics are affected by these situations, it is a huge leap forward for FM, with the game continuing to move away from being robotic and monotonous to being a true microcosm of what really does happen in the football world. There were a number of other new feature additions, most notably the medical centre and the new scouting system (which I think was made more comprehensive, but less accessible), while modifications have been made to almost every other feature in the game. But now, as stated previously, we all have our aspirations for FM19. We all have our own exciting ideas for what we want to see included/improved. Personally, I'd like to see the role of chairman changed to match what it is in real life. For a lot of clubs, chairmen are very active in the decision making for the playing & backroom staff, and I would like to see them becoming a bigger feature in FM19. I don't want to be a chairman; it wouldn't be 'Football Manager' if you weren't a manager, I just want to see them come to life a bit more. So now I ask you, the good people of the FM Scout community, to share your wishes for FM19. No matter how small or big it is, or how ambitious it may be, no idea is a bad idea. So, feel free to share what you want to see added/improved, even if it already suggested, and let us make a list of ideas for FM together, as the game's golden community. Thank you, and good luck with your FM-endeavours. I would like FM to improve engine and finally add some skills and tricks into matches because without them football looks a bit empty. I know it can be difficult, but i need only animations of dribbles. I realize the first two suggestions are strictly connected with some copyrights and may be impossible to introduce, but I think they would add much to the reality of the game. * With modern football advance to the VAR generation the FM must include this in future versions. * I would like the goalkeeprs rating system to e more accurate for example if my team wins but my GK didn't had to stop one shot he shouldn't receive the high score he currently gets. * Brexit - until we fully know how ,if at all, it will affect the preniere keauge it shoudn't be implemented to the game. 5. Add a map demonstrating your travel for away matches., pre season camps etc. 7. The dynamics were a great addition. One player even a great player may not perform at his best in a club A and perform better in club B. Work even more on this. - Better graphics in 3d engine. - Set specific instructions to the DoF like get me a new striker or get me a under 21 player with potential or get me a player under 1 million. - Be able to set different team instructions or even formations during defending and attacking. Lots of teams attack using a different formation than defending and this should be implemented. - No more training for a new move like move into channels. These should be under player instructions and the player should familiarize over time. I would like to see more choices about your manager and his personal life. For example changing your favorite teams, deciding what languages you want to learn, specialisation, the ability to start out as an under 19 manager (for clubs). - An expansion on youth recruitment when the current player database gets replaced some youth tournaments or local matches to scout would be great. That would also tie into managing an under 19 club and would basically replace their transfer system. - Even more interaction with your players, players should be able to come to you for advise and more possibilities to explain stuff to them. Improve the 3D match graphics alot. Approve or select different sponsors for kits or in general. Improve or add more interaction with the farmer clubs. More options to interact with the board and more dept. Improve the social media, and add more interaction with the fans. I would like to see the ability to be able to take a break in contrast negotiations for a day or two. Negotiations are never done in one session, taking a break could be good instead of a contract being straight up rejected. Could be used by the player, the footballer, the agent even as a tactic. Like if I try to lowball a player, instead of just rejecting they could say something like "let's revisit these discussions in a few days when you decide to be serious" just to add a bit of realism. Vastly reduced number of shot hitting woodwork. -More formation and tactis options. It would be nice if we are able to set our defending tactic,attacking tactic. It would be nice if we had more instructions to give to our players. Something similiar to Matuidi playing as a LW for France but at the actual match he isn't playing as a LW. -Better answers when having a conversation with your player,board etc. Emotions in the game should be drastically changed. How many times have you felt you don't have the right option to say to your player,board etc. -Relationships with agents. How many times did you feel after being in a save for some time(at least 5-6 years) that every agent dislikes you. That screws up all your contract talks with the players and really makes no sense. That's some of my wishlist for the next game ! You are reading "FM19 Feature Wishlist".